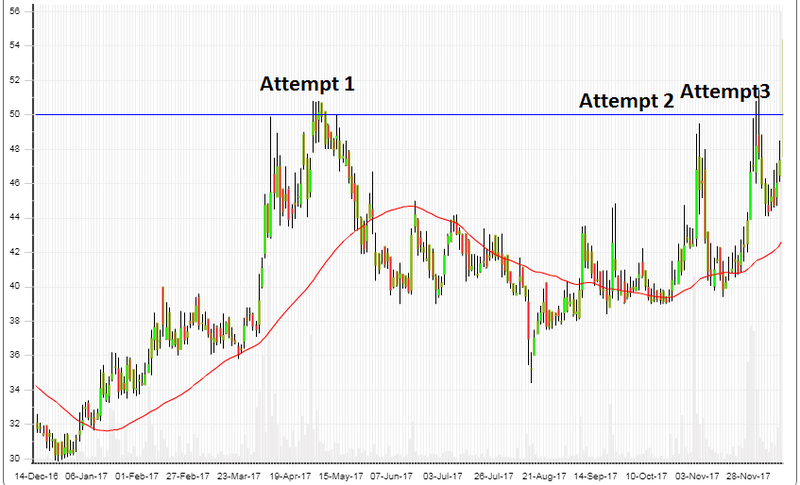 » Trading Ideas » Trading Ideas : AVT Natural Products Ltd.
Trading Ideas : AVT Natural Products Ltd.
Hope you all are doing well, the next trading idea is something which i am very confident of just by looking at charts. This stock has tried to breach Rs. 50 levels thrice this year and today in its 4 th attempt finally has closed well above 50. 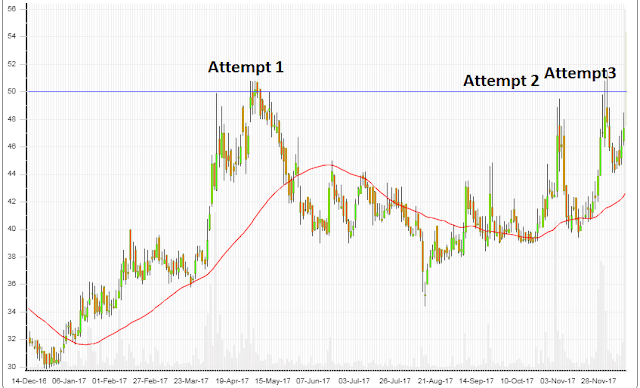 The rally is expected to continue in near future, traders can look here for low risk profits. Disclosure : It is safe to assume that I hold this stock in my Portfoilo.